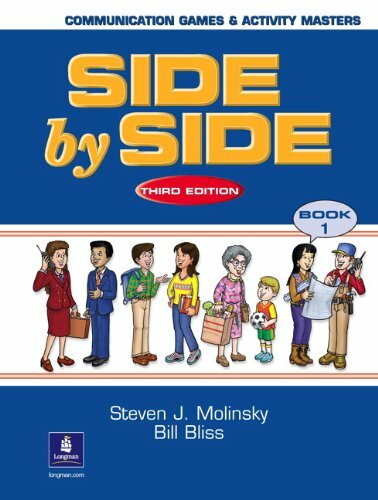 The Side by Side Communication Games book is an innovative teacher resource that provides a wealth of interactive language games designed to serve as enjoyable and motivating reinforcement of key grammatical structures presented in the students texts. All of the games are accompanied by reproducible activity masters for ease of classroom use. Side by Side Plus is a standards-based and grammar-based English language program for adult and young-adult learners, The program builds students' general language proficiency and prepares them for their life-skill roles in the community, family, school, and at work.